Fly-fishing in The Deerfield Valley is epic! Fishing from late April through end of November can be plentiful to participants of all ages & skill levels. The Wilmington Inn is proud to be the premier fly- fishing lodge in Southern Vermont! Fly-fishing spots are within walking distance of the inn on The Upper Deerfield River. The river system is called "The Upper Deerfield," and is supplied a constant flow of water from three local bottom release dams. The three dams, Harriman, Somerset & Searsburg are operated by Great River Hydro. This man- made hydro-electric water system operates from its 400-square-mile Vermont drainage basin in four river branches: the main Deerfield, and the East, North, and West branches. 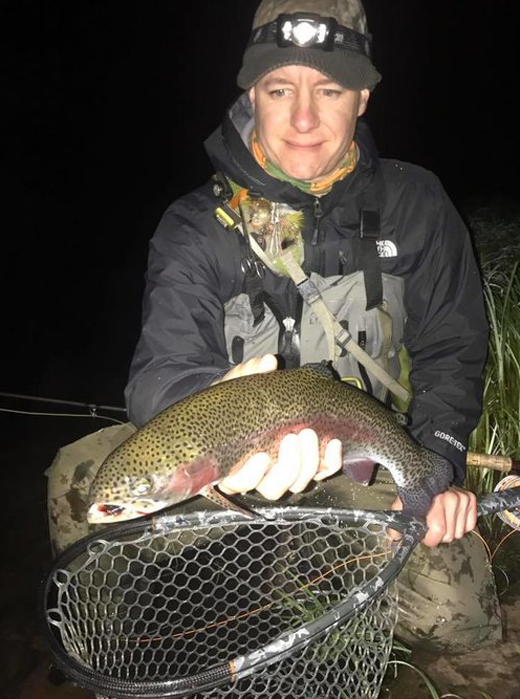 The improved water management on these upper sections since 1998 has provided the Deerfield with constant flows and has some of the best fly fishing for wild trout in the state. On all trips, equipment is provided by Pheasant Tail Tours except waders. We do partner with a local flyshop to rent waders.